Air India offering night flights starting at Rs 1,000: Air India, the flag carrier airline of India is all set to launch its new late night flights from the end of this week. The new late night flights routes by Air India are Bengaluru-Ahmedabad-Bengaluru, Delhi-Coimbatore-Delhi and Delhi-Goa-Delhi with basic cost which is starting from Rs 1,000. According to the company’s website it is revealed that Air India is introducing its night departure at attractive fares from 30th November 2018. As this is a winter holiday season, it will be a great deal for the public to travel through Air India with reasonable air fares which is priced even less than those with regular timings. 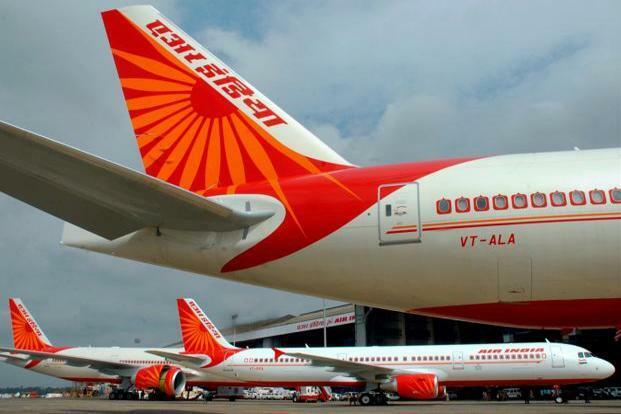 Air India’s red-eye flights function between late night and early morning. The special fares for late night flight by Air India are starting from Rs. 1000 to Rs 3000 (Taxes Apply). Not only these late night flights are budget friendly but also helps in avoiding traffic jams during the peak hours, late night flights offer faster check in, takes shorter time to claim your luggage and also saves you hotel accommodations. According to the flight schedule chart published by Air India in their official website, flight no. AI 589 departs from Bengaluru at 12.30 am and reaches Ahmedabad at 2.35 am, while flight number AI 590 is the returning flight which takes off at 3.05 am and lands at 5.25 am. The 15-day advance basic fare for Bengaluru-Ahmedabad-Bengaluru night flight begins from Rs 1,000. Air India Delhi-Coimbatore-Delhi night flight schedule are: the flight no. AI 547 departs from Delhi at 9:15 pm and reaches Coimbatore at 12:30 am, while flight number AI 548 is the returning flight which takes off at 1.00 am and lands at 4.00 am. The 15 day advance basic fare for Delhi-Coimbatore-Delhi night flight begins from Rs 2,500, excluding taxes. Air India Delhi-Goa-Delhi night flight schedule are: the flight no. AI 883 departs from Delhi at 10:00 pm and reaches Goa at 12:35 am, while flight number AI 884 is the returning flight which takes off at 1.15 am and lands at 3.40 am. The 15-day advance basic fare for Delhi-Goa-Delhi night flight begins from Rs 3,000, excluding taxes. With the coming winter holiday season, two other low cost airlines such as IndiGo and GoAir have also come up with new offers in order to attract travellers. The offer by IndiGo is that that they have put up 10 lakh seats on offer with the initial price of Rs 899 for flight ticket. While on the other hand, as a part of publicity offer GoAir has put up 13 lakh seats. What Is the Job of an Accountant?